Grown up in a rider’s family, Sabine was already on the winning track in her younger years. Her highly concentrated work was rewarded with the European and German Championship-title in the young rider division. And this four times in a row. 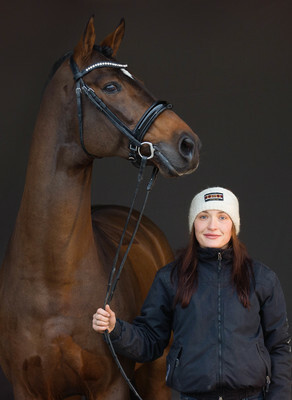 She was member of the German B dressage squad from 1995 to 2000. Following 150 victories at the advanced dressage level and a number of Grand Prix-successes, she is now focused on the training and sale of young dressage horses. We are happy and proud Simone is part of our crew. She is supporting us in training and competing our horses. so far. We are looking forward to following the horses in training with her on their way to Grand Prix. Natalia manages our horses' well being at her best. She is simply the queen of the daily traffic and guides the crew through all challenges. Francisco is an artist in the saddle when starting the young horses under saddle and during their initial training. Trust his wealth of experiences. Nicole Melcher supports our customers with all kinds of inquiries, for example hotel bookings and date arrangements, with her friendly and accommodating approach, shuttle service from and to the airport also included. Please do not hesitate to contact her for all questions. She will be pleased to be of assistance. 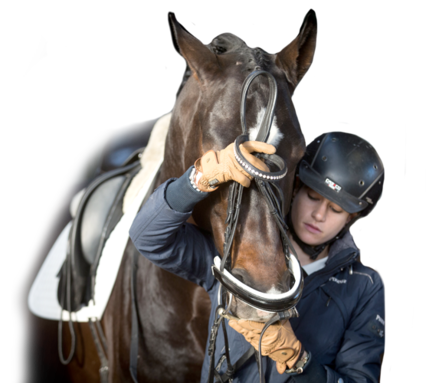 Natalia is our head groom, and our professional riders and grooms work under her direction for the daily well-being of our four-legged companions. The futurity prospects are appropriately and carefully started under saddle and presented at their first tournaments. Our staff accompanies and looks well after our competition horses at their different contests. Each team member at Rueben Equestrian ensures that all horses feel completely comfortable at home. Training our horses according to the highest possible quality requirements and standards is our passion. We have got horses in training from 2 year old licensed stallion to Grand Prix horse.